Cheap Thrills - Boston: WED 9/3 to SUN 9/7: Free Kung-Fu Cinema in Chinatown! 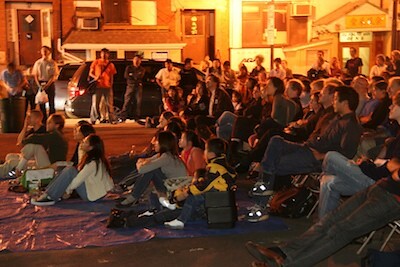 WED 9/3 to SUN 9/7: Free Kung-Fu Cinema in Chinatown! 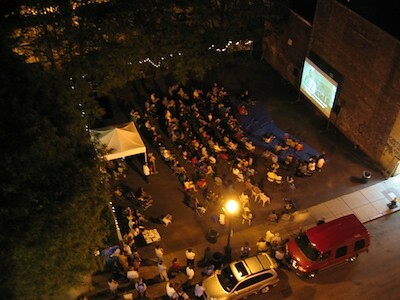 You can't go wrong with any night of this annual outdoor film series of kung-fu movies. It's not surprising since the person who picks the films was a projectionist at a couple of now-shuttered Chinatown moviehouses, and she knows her kung-fu movies. I bet all those involved with "Films at the Gate" wished at least one theatre was still open in Chinatown. Alas! When life gives you lemons, sometimes you need to make Chinese lemon chicken... We get to watch the fruits of their labor for free out in the fresh air. Seats are first-come, first-serve; but feel free to bring your own. WED 9/3: "My Young Auntie"
This sounds like a fun and funny movie that has some kickass action scenes. If you haven't seen any of Jackie Chan's Chinese films, you've only seen a small sliver of his greatness. This will give you a new appreciation for Jackie Chan, who also directed it. This is considered one of his best movies. This is a real gem, because it's a 70-year-old silent film, which is one of the oldest surviving martial-arts movies. Devil Music Ensemble have provided live soundtracks for many silents. They're in the middle of a tour with "Red Heroine" (and includes a stop in Union Square on Saturday.) I doubt the music will sound much like the original score, but this should be a cool experience. SAT 9/6: "The 36th Chamber of Shaolin"
Many people consider this the ultimate kung fu movie. You know the Wu Tang Clan would agree. I know RZA has talked about how much this (among others) was a major influence on him. It was also an influence on everything that followed in this genre. SUN 9/7: "Iron Monkey: The Young Wong Fei Hong"
Another classic, this movie features Donnie Yen who was born in Canton (China, not Mass) and moved to Boston when he was a kid. There will be a live demonstration by the Bow Sim Mark Tai Chi Arts Association (Donnie Yen studied with Bow Sim-Mark) and Rick Wong's Chinese Martial Arts, so the movie (running time: 90 minutes) will start around 7:20pm.